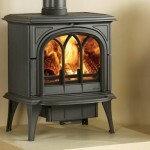 If you are currently looking at buying a wood burning stove, this is a useful buyer's guide. 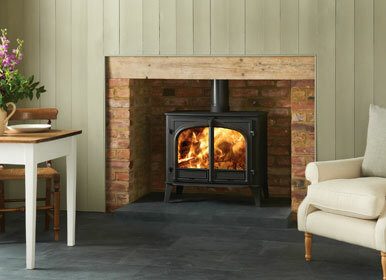 If you are considering purchasing a wood burning stove, this article will provide a useful guide on the benefits of owning a wood burning stove, the latest designs suitable for your home and where to purchase the chosen appliance. A wood burning stove is designed to specifically burn wood rather than other solid fuels, as the airflow in the appliance has been specially constructed to get the best performance from wood.Internally, a wood burning stove does not have a grate or ash pan on the floor of the stove. If you plan to burn a combination of materials such as peat/turf briquettes and other smokeless fuels in your stove, consider a multi-fuel stove which has a riddling grate. A riddling grate allows ash to disperse into a built-in ashpan which can be easily emptied. If you would like to find out more about the differences between wood burning and multi-fuel stoves, read our “do you know a wood burning stove from a multi-fuel stove” blog. 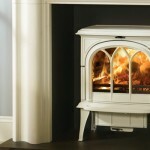 Today, homeowners are considering buying a wood burning stove for many reasons. Primarily, owning a wood burning stove helps reduce household costs, especially with consistently rising gas and electricity prices. Depending on the heat output and the usage, a wood burning stove could use up to just £150 worth of wood per year, but this amount should still be significantly less than the cost of gas and electricity bills over the same period. Using wood as a fuel can be free for those households lucky enough to own a small holding or woodlands and can therefore gather fuel for free. For those without access to woodland, there are local wood suppliers that can provide homeowners with sustainably sourced seasoned wood. 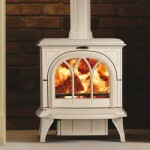 Another reason to purchase a wood burning stove is the eco-friendly lifestyle choice it offers many homeowners. Wood is better in environmental terms as the amount of carbon dioxide realised into the atmosphere is approximately the same as that absorbed by the tree during growth. This term is often referred to as the “carbon neutral process”. By using wood as your fuel source for your stove,you are in fact offsetting your carbon footprint and becoming carbon-neutral. 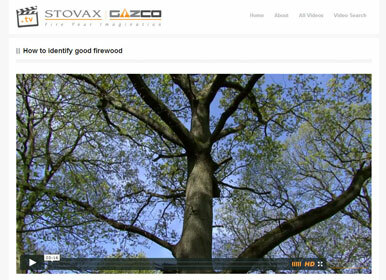 If you would like to find out more about identifying good firewood, visit Stovax.tv. The website also offers a number of free instructional videos about keeping your appliance looking and performing at its best. For a more thorough explanation on why homeowners should own a wood burning stove, please refer to the top 10 reasons to purchase a wood burning stove blog. 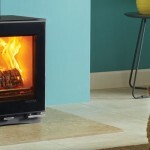 What are the latest wood burning stove designs? The extensive designs from many wood burning stove manufacturers have allowed homeowners to select from a variety of models. Whether you are looking to upgrade your existing wood burning stove or thinking of installing in a city apartment, there are wood burning stoves for all types of home. 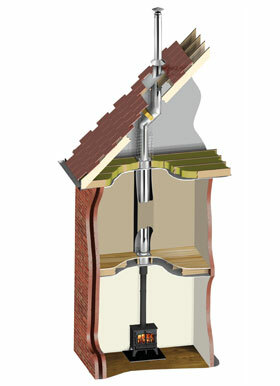 You can even install a wood burning stove in properties without chimneys by using fully sealed twin wall flue systems! Stovax, one of the UK’s industry leaders in manufacturing wood burning stoves, have a wide range of models to choose from. Homes with a more traditional look can opt for the popular Stockton and Brunel wood burning stove range – made from the finest cast iron, these wood burning stoves are attractively designed and will be a suitable companion for many winters to come. Its heat diffusing properties allow the warmth generated to be radiated slowly into the room for a more comfortable and even temperature. If you would like to find more about the history of cast iron, visit our why choose a cast iron log burner blog. There are also more contemporarily designed wood burning stoves for those homeowners wanting to add a modern touch to their properties. The stylish Riva Studio Freestanding wood burning stove comes in four sizes: Riva Studio 500, Riva Studio 1, Riva Studio 2 and Riva Studio 3. Depending on the available space in your home, the largest model, the Riva Studio 3, emits a heat output of up to 11kw and allows logs of up to 500mm (20”). Not only can you mount these wood burning stoves directly on to a hearth, but you can also install them on to one of the stunning Riva benches. With a variety of styles and designs to choose from, the distinctive appearance of these contemporary wood burning stoves will create the perfect feature in your living space. If you are looking to invest in a wood burning stove that can heat up both your domestic hot water and central heating, Stovax has a wide selection of contemporary and traditional boiler stoves to suit your home. Some models can even be purchased at a lower VAT rate. With the growing interest in becoming more eco-friendly, the Government has introduced the ‘Energy-Saving materials’ scheme last year which allows homeowners to buy certain appliances at a VAT of just 5%. 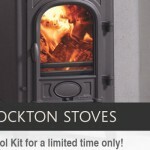 Stovax has responded to this initiative and is now pleased to offer the Stockton 11 and the Stockton 14 high output stoves as specific wood burning models, which qualifies them for the reduced rate. Homeowners can now enjoy the atmosphere of a real fire, an exceptional heating performance throughout your home and they can also help you become independent from the grid. 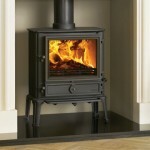 Properties without chimneys now also have the choice to add a wood burning stove. With this in mind, Stovax has designed a twin-wall flue pipe system – the Professional XQ™ range – which allows rooms without chimneys to enjoy the benefits of a wood burning stove. Homeowners can even choose from a selection of twin wall components to suit both internal and external aesthetics of their home. Another major development in stove design is the ability to install a wood burning stove in homes that are in major towns and cities often referred to as “Smoke Control Areas”. These homes are not allowed to emit any smoke from their chimney when using a wood burning stove, therefore, homes within the Smoke Control Areas that have a non-exempt appliance may only burn a list of authorised fuels that can be found on the DEFRA website. If you would like to burn logs and have a non-exempt appliance in a Smoke Control Area, you can install a Smoke Control Kit. If you live in a Smoke Control Area and would like to burn wood, look out for those wood burning stoves that have the “Smoke Control Area Exempt” logo which means that they are suitable for use in these areas. 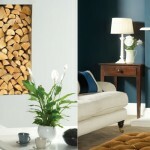 Stovax offer a wide range of these wood burning stoves in both traditional and contemporary designs. All Stovax wood burning stoves are CE marked which means that they are independently tested to exacting European standards for both heating efficiency and emissions. To ensure that your product remains at the highest possible quality and safety standard, Stovax also provide a 5 year extended warranty for your wood burning stove. Find out more about Stovax’s 5 year extended warranty policy. Who can install my wood burning stove? If you have found a suitable wood burning stove for your home, it is important that you visit your local independent retailer to ensure that you have explored all the limitations and benefits of installing the appliance into your home. It is integral that you also search for accredited installers that will install the wood burning stove safely, efficiently and adhere to installation compliance. Using an accredited HETAS installer means that your installation and servicing is carried out properly by a trained and competent individual. 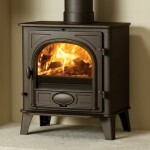 Where can I buy a wood burning stove? 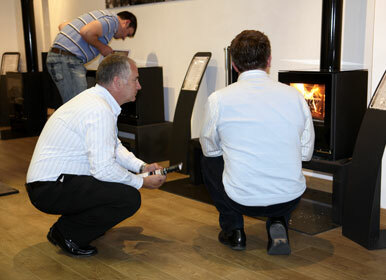 You can buy your wood burning stove from a wide range of experienced retailers across the UK and Republic of Ireland. Using the “Find a retailer” section on the Stovax website, you will be able to locate your nearest retailer by typing in your nearest town or postcode. You will find Stovax products are only available from these experienced, independent retailers who will be happy to show you a selection of models locally in their showrooms, often fully operational. To conclude, there are many positive benefits of owning a wood burning stove. Not only will it enable you to reduce your monthly outgoings but it will also provide your home a carbon neutral, wholly sustainable heat source. Of course, today’s manufacturing organisations such as Stovax have created an extensive selection of stylishly designed wood burning stoves that will also offer your living space a spectacular focal point for many years to come! 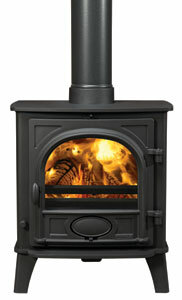 We are considering buying a second-hand COMPAX STOVAX BRUNEL Wood burning Stove 4w in the colour Red. Could you give us an idea of the age of this type of stove please. Parts for the red Brunel stove were discontinued in 2001. The stove itself had been available for many years before that date. I want to but either a Stockton 3 or 4. 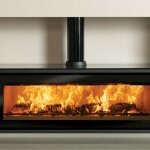 The 3 will probably give sufficient output but part of the reason for buying is being able to see the fire itself. The window seems a bit restricted on the 3 so I am leaning towards the 4. Would you say it would be better to go for the 4 for this reason or am I worrying unnecessarily? 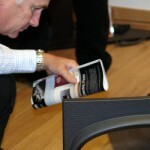 Is an Ash Pan necessary with a Stovax 7 multi-fuel stove. An Ash Pan is necessary to catch the embers and ash that fall through the riddling grate to allow controlled collection and easy removal. 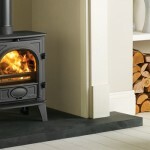 Why buy a wood burning stove in summer? 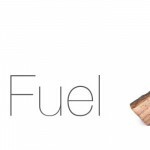 How efficient are wood burning and multi-fuel heating appliances?